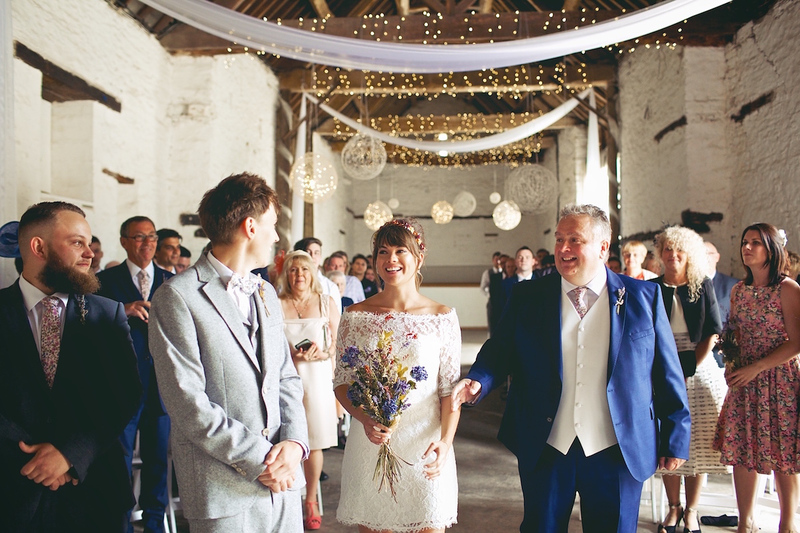 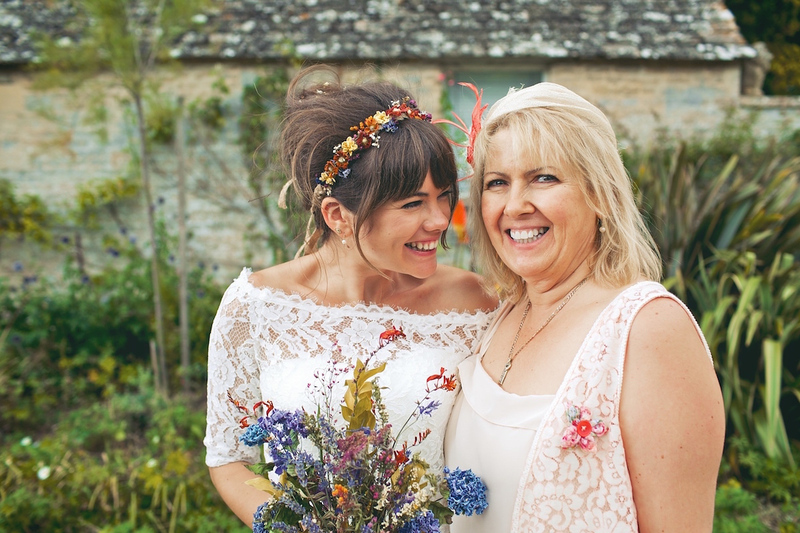 “I’m lucky enough to have the brilliant hair and make-up artist Alice Howlett as one of my oldest friends and so she did the honours on the day. 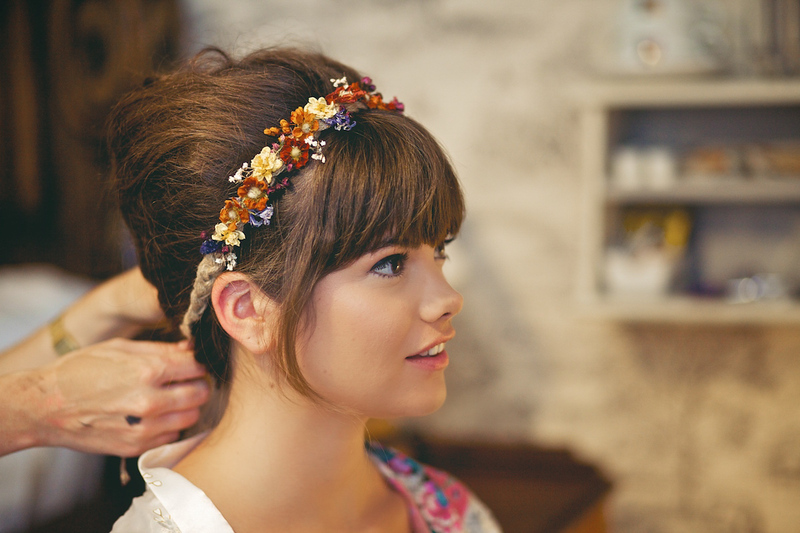 Getting ready for your wedding is such a personal thing and I knew I’d be nervous so it was really lovely and relaxing to have my makeup done by a friend. 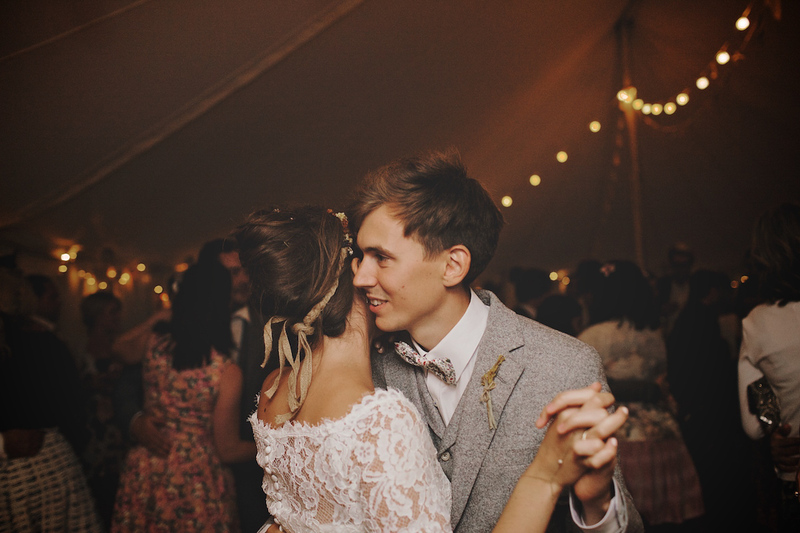 Ed’s suit was by Gibson London and his bowtie from SunLondon on Etsy. 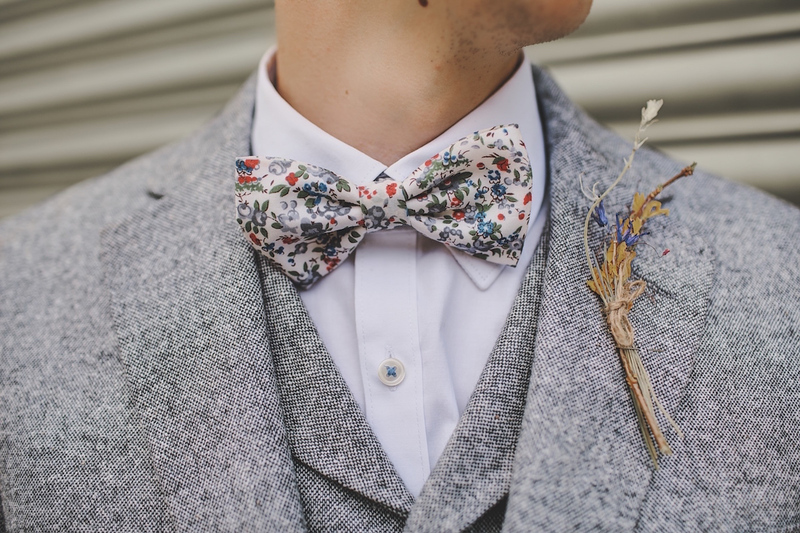 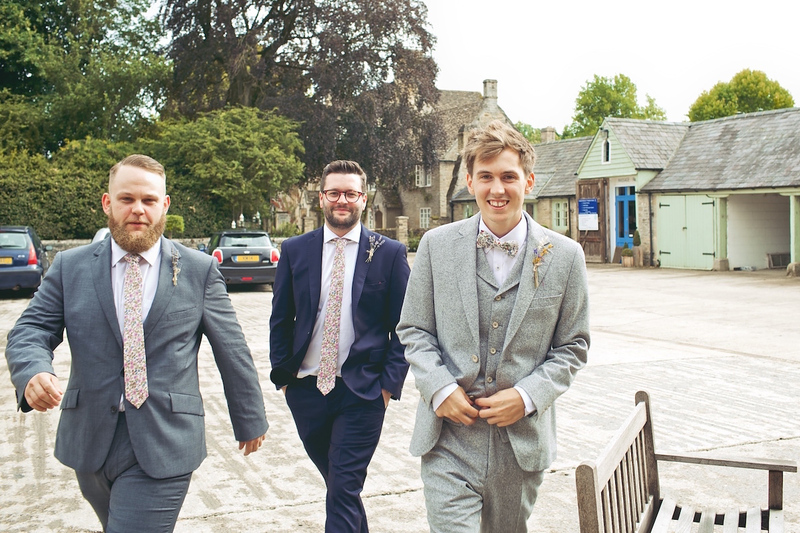 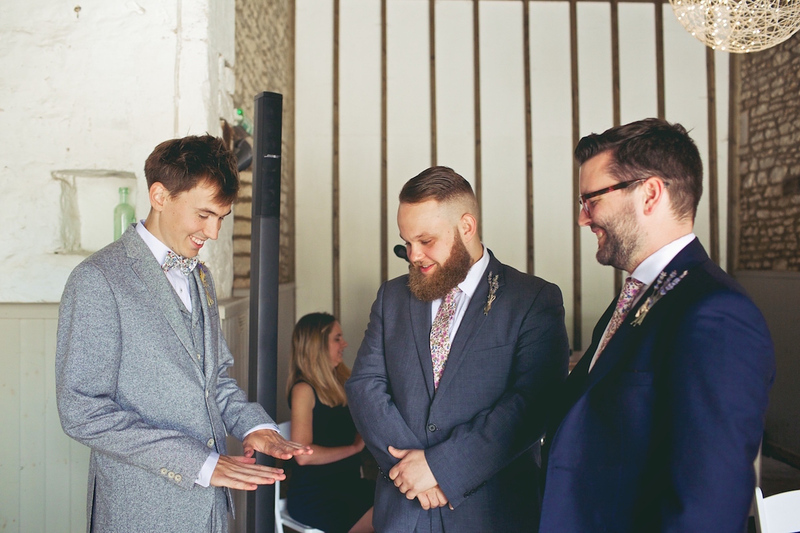 Ed’s best men and groomsmen all wore floral ties from Frederick Thomas. 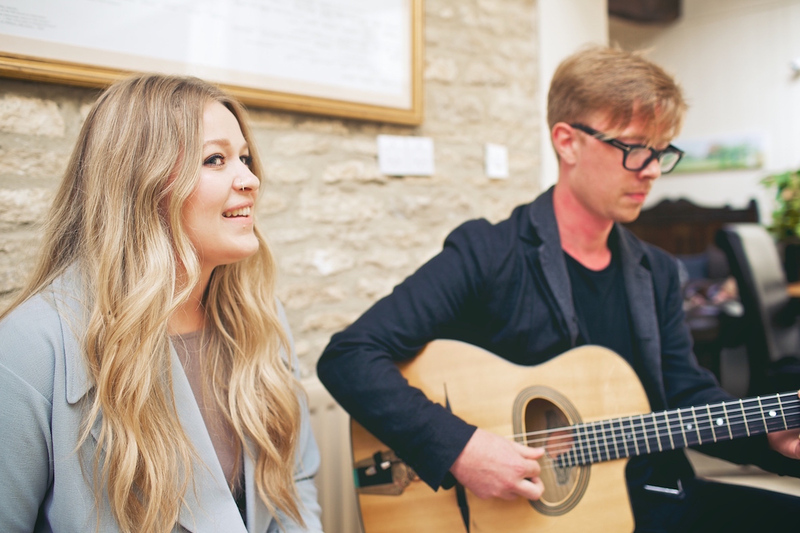 Carli and her dad were sung down the aisle to ‘Moon River’ by Hannah Robinson and Scott McKeon of Laurel Canyon. 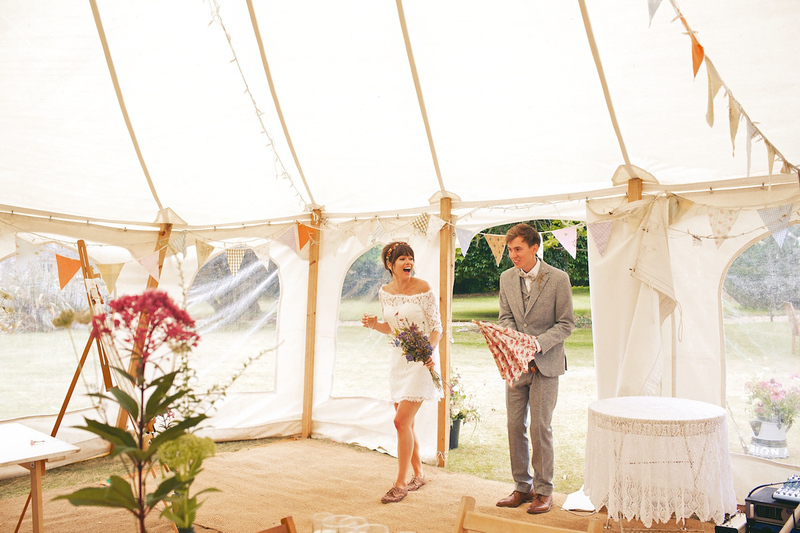 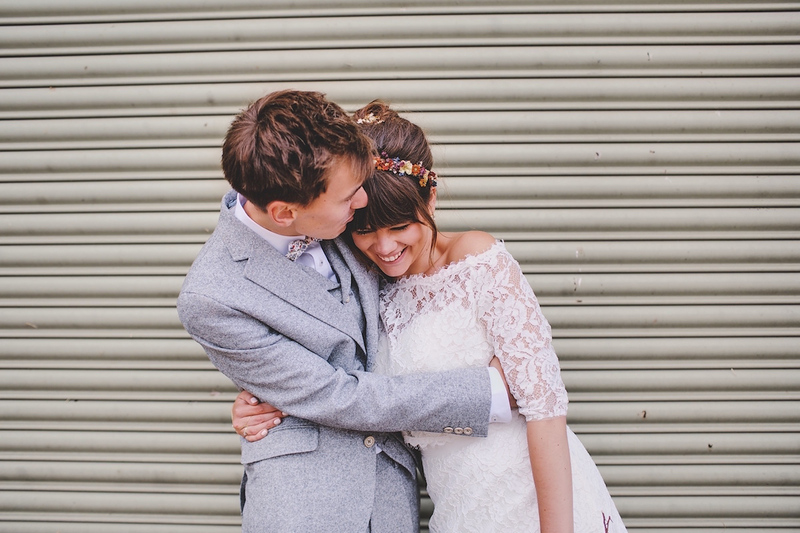 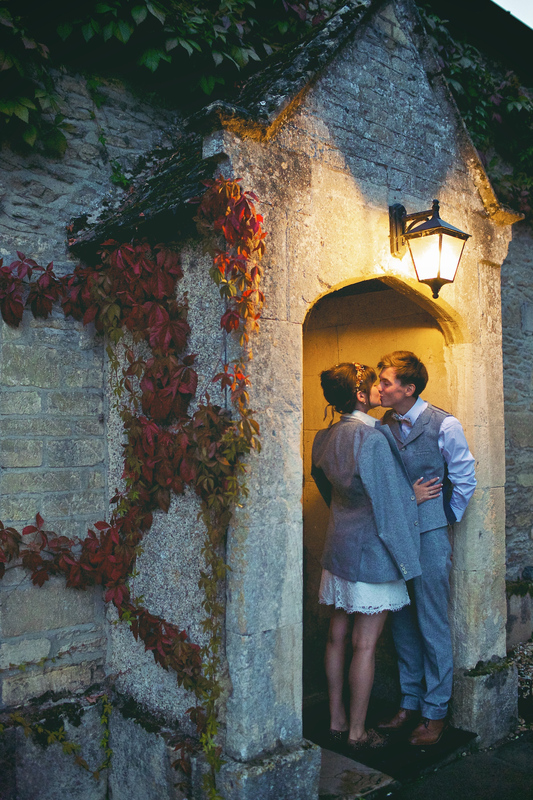 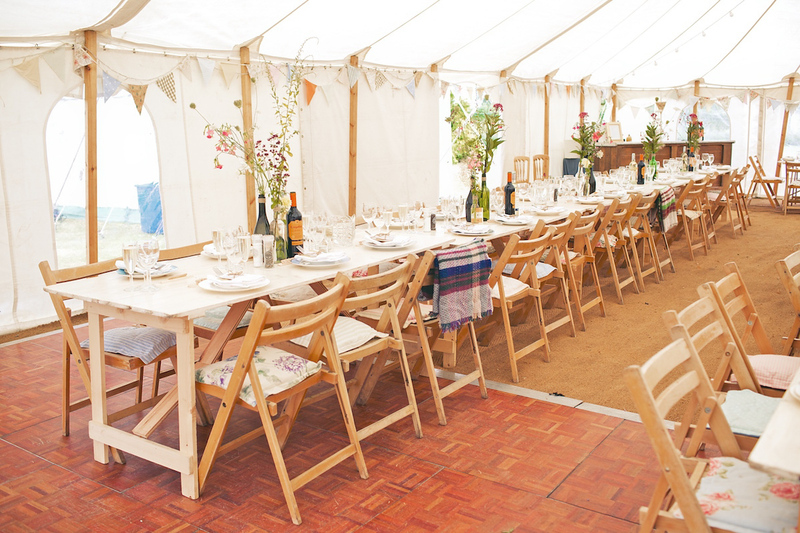 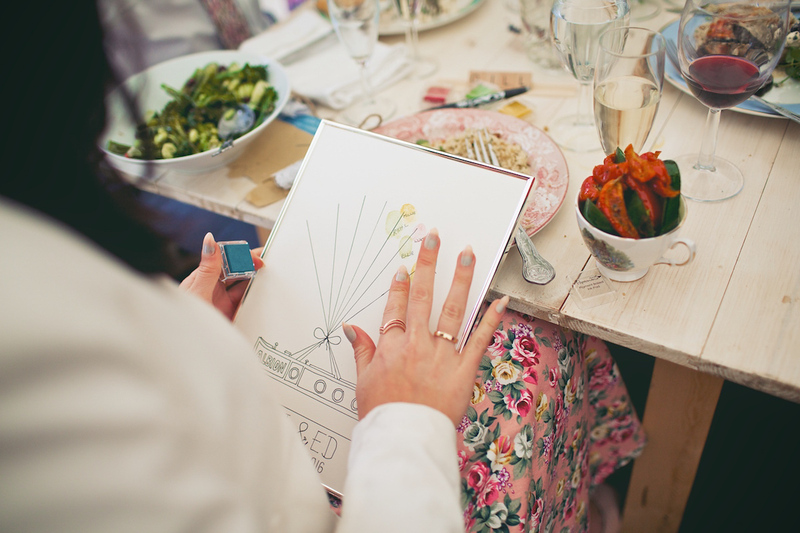 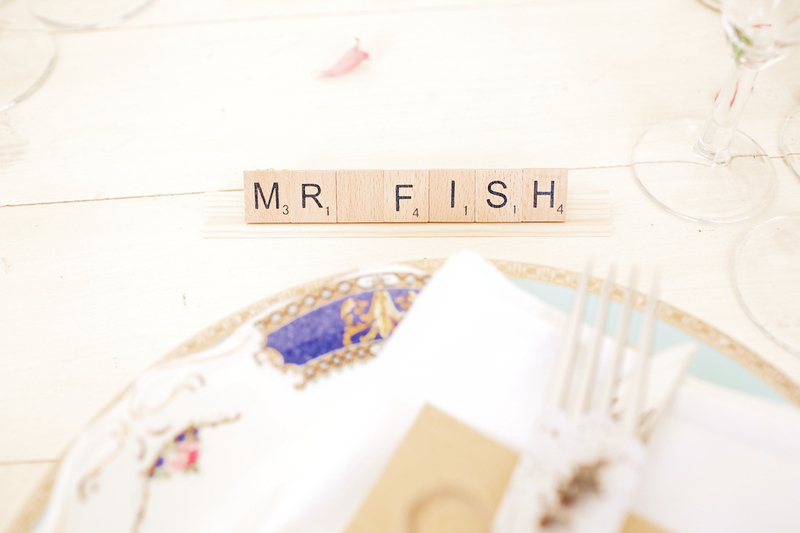 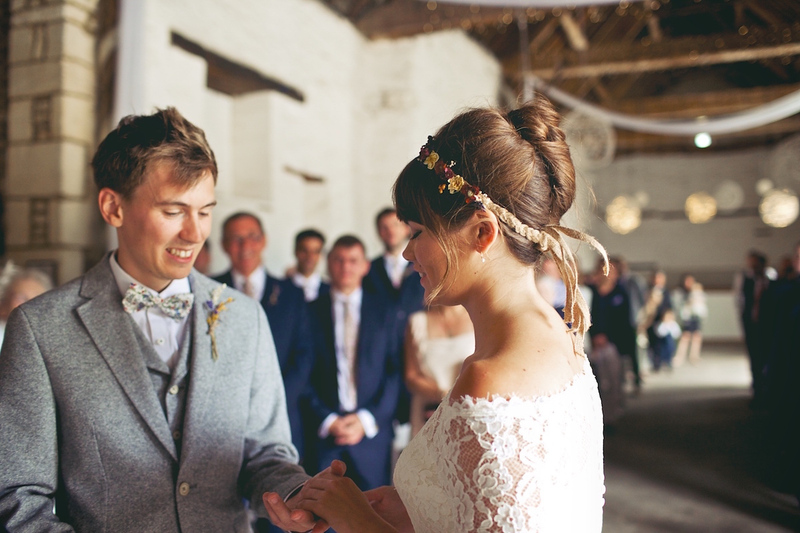 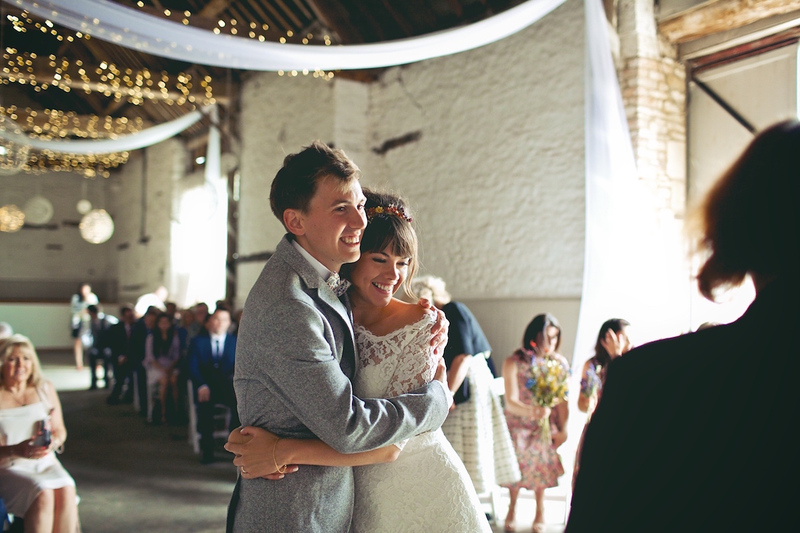 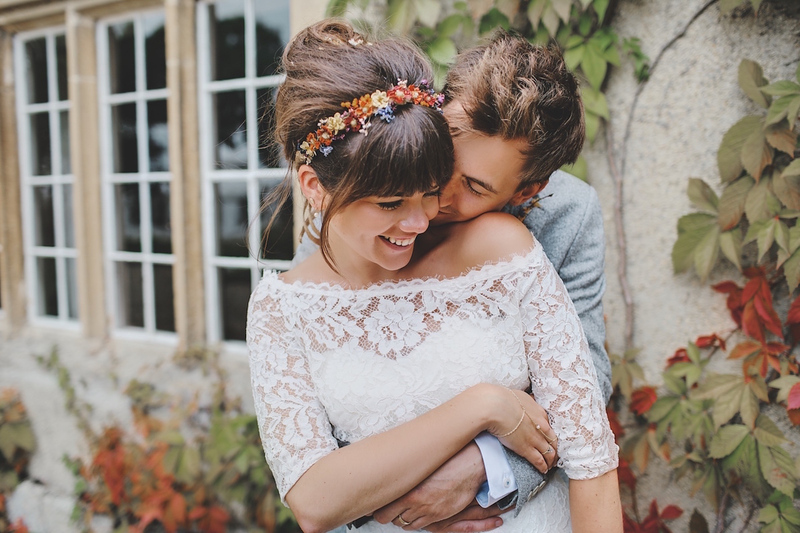 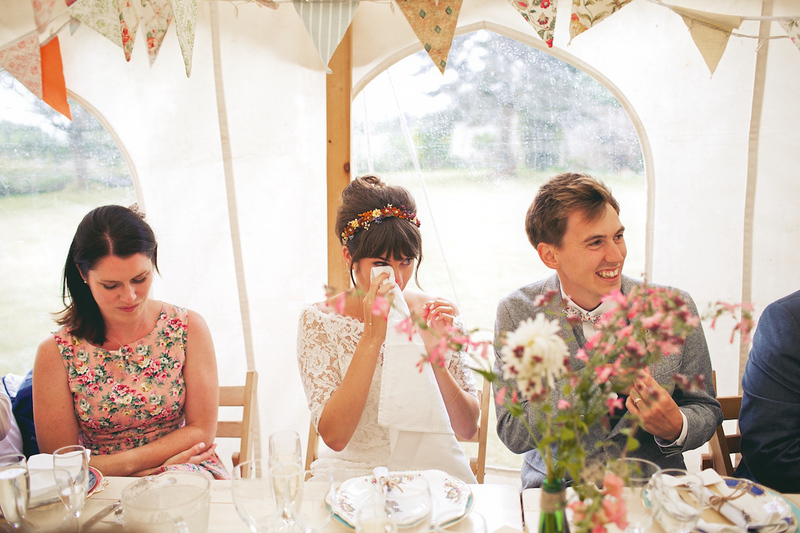 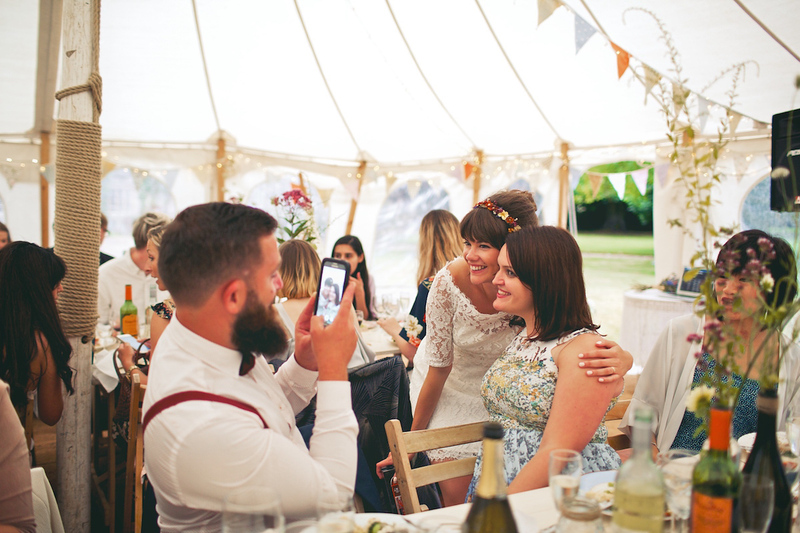 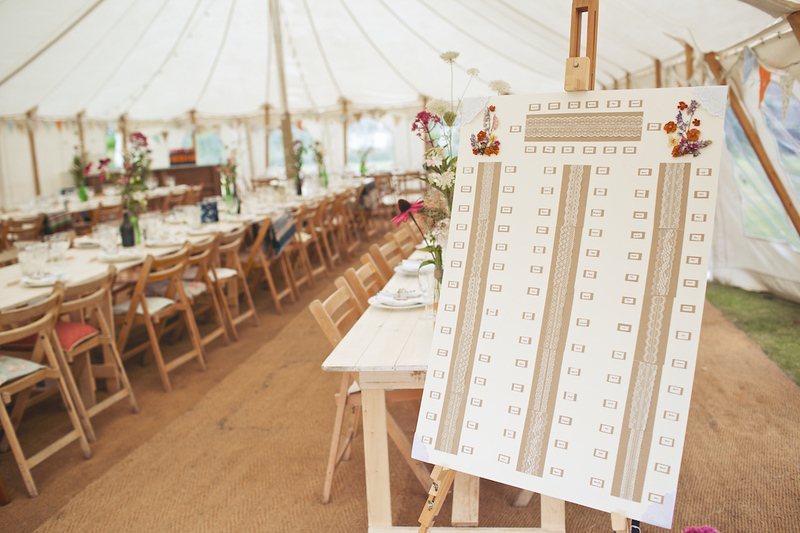 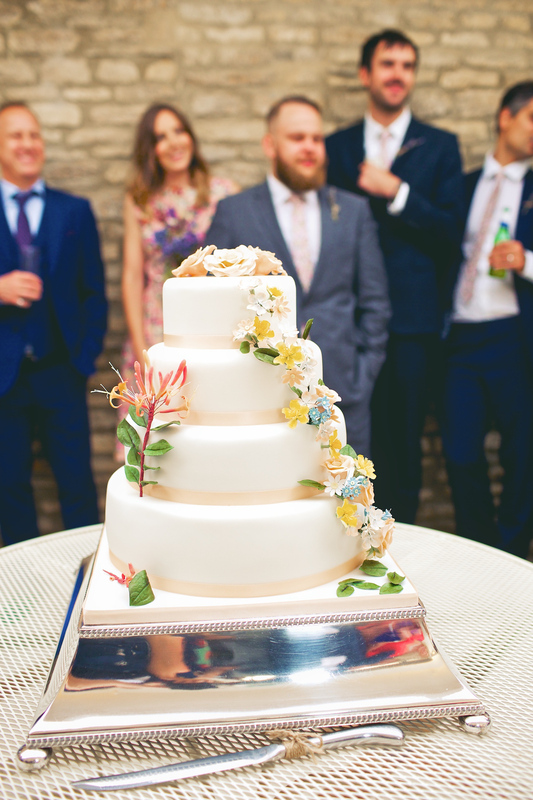 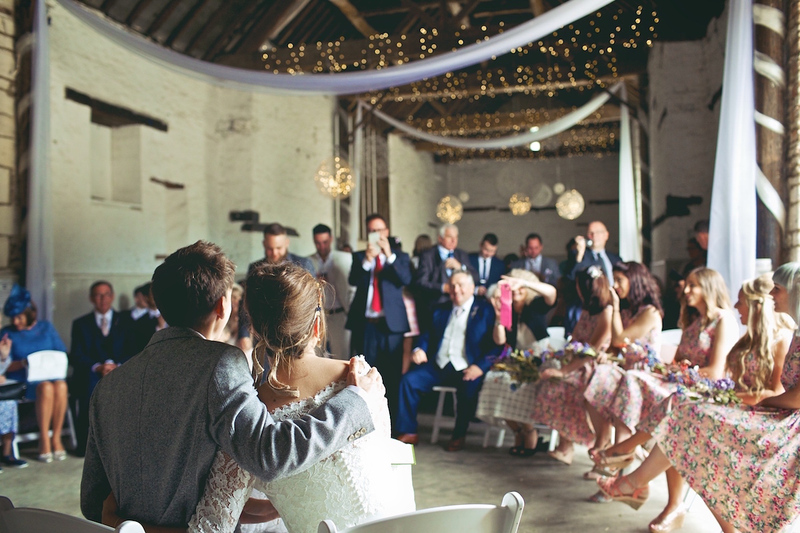 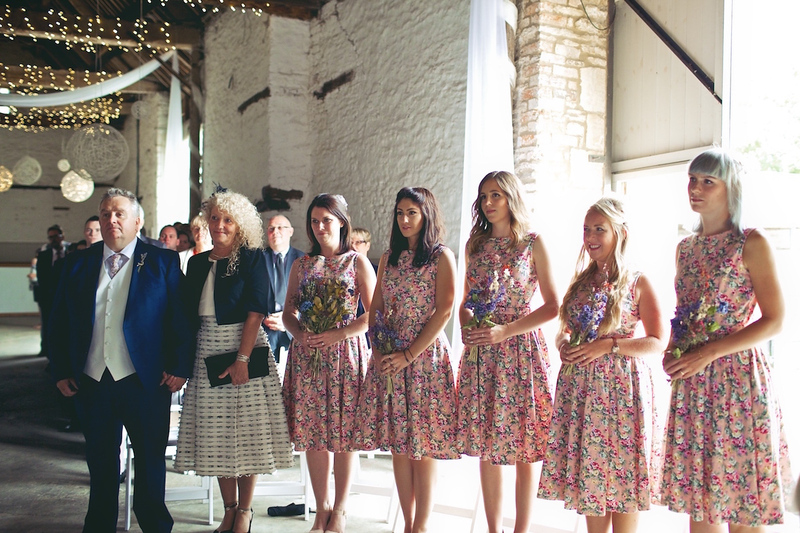 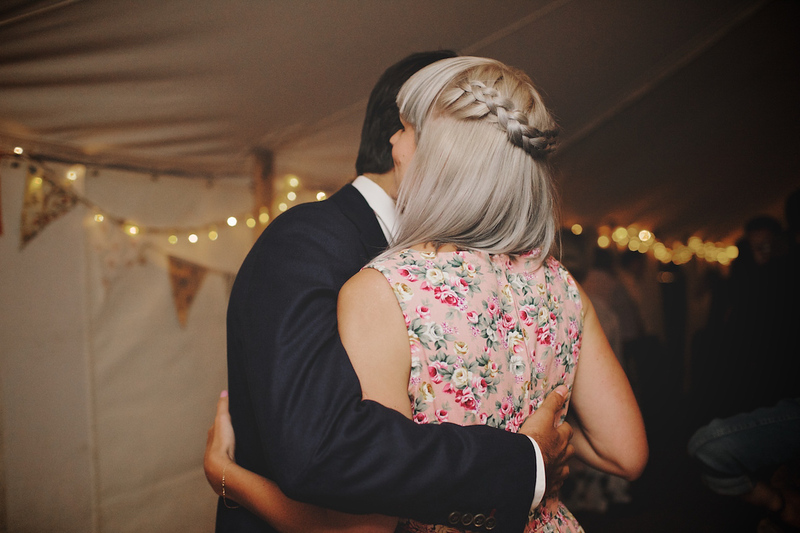 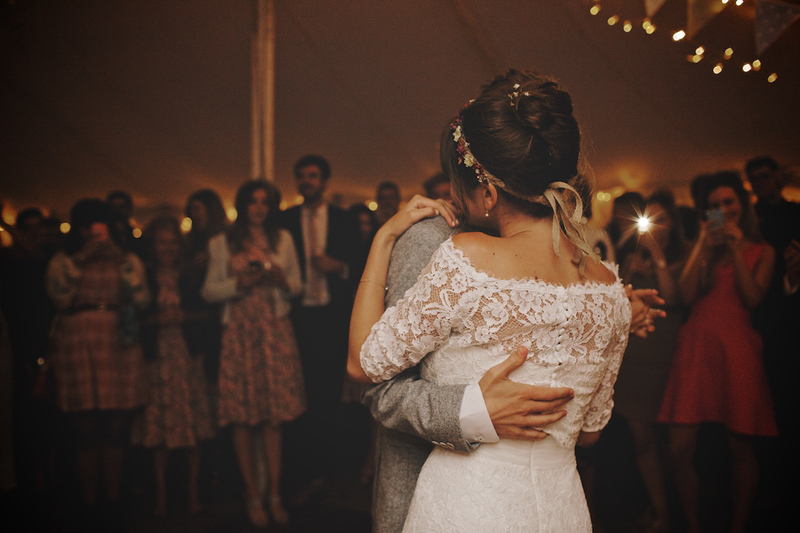 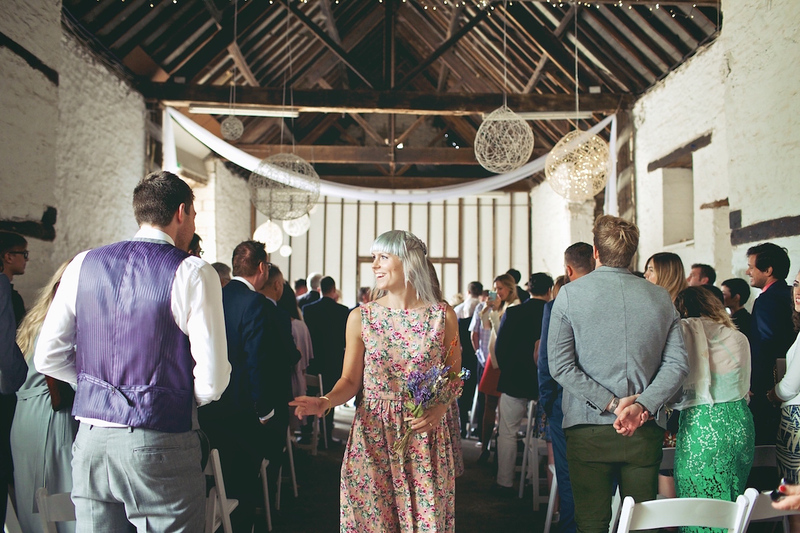 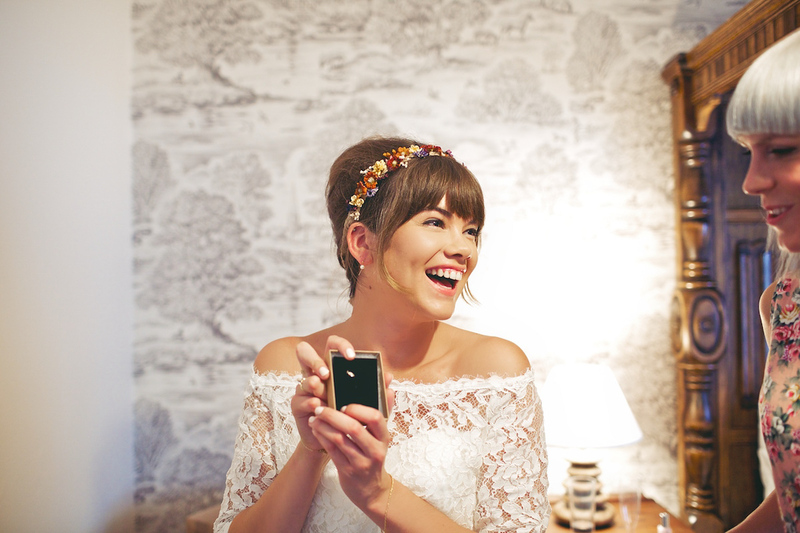 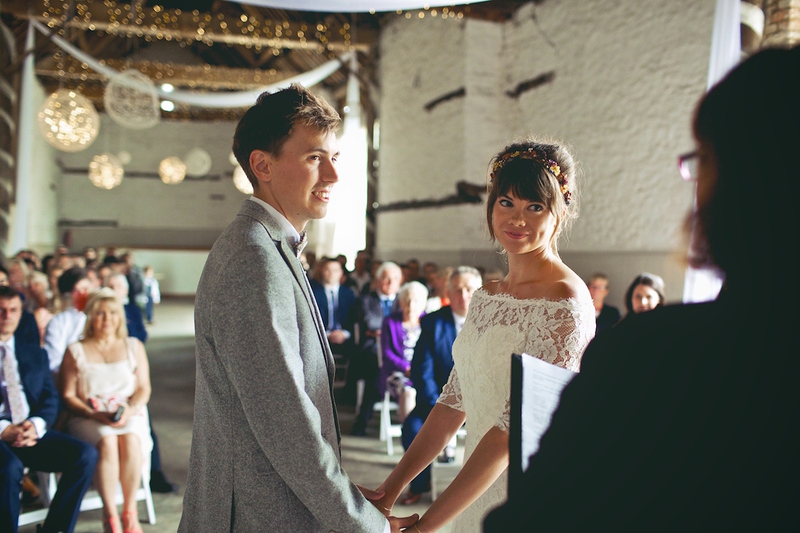 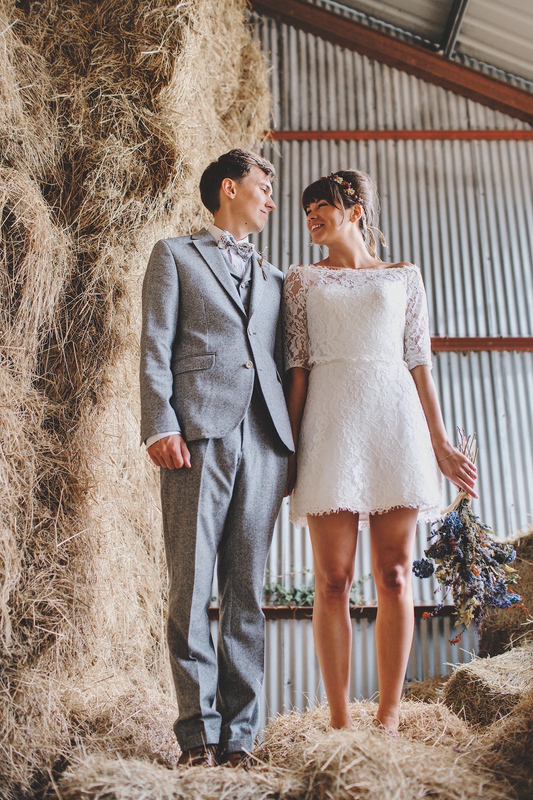 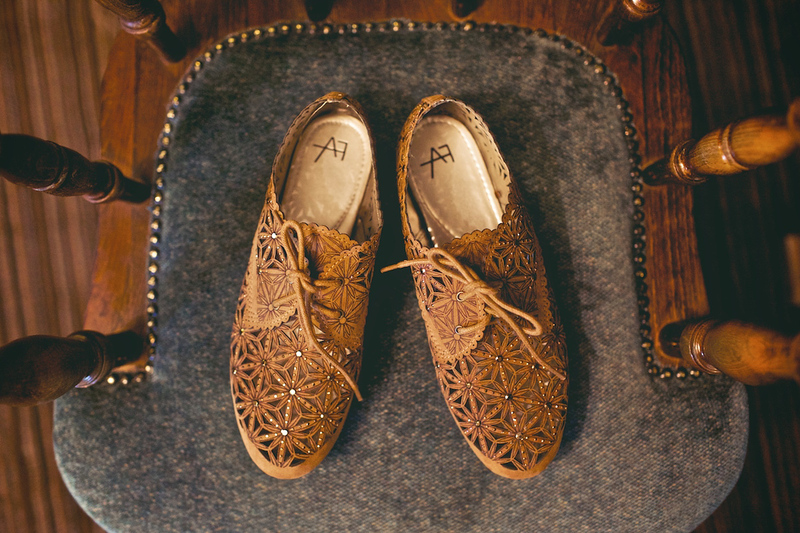 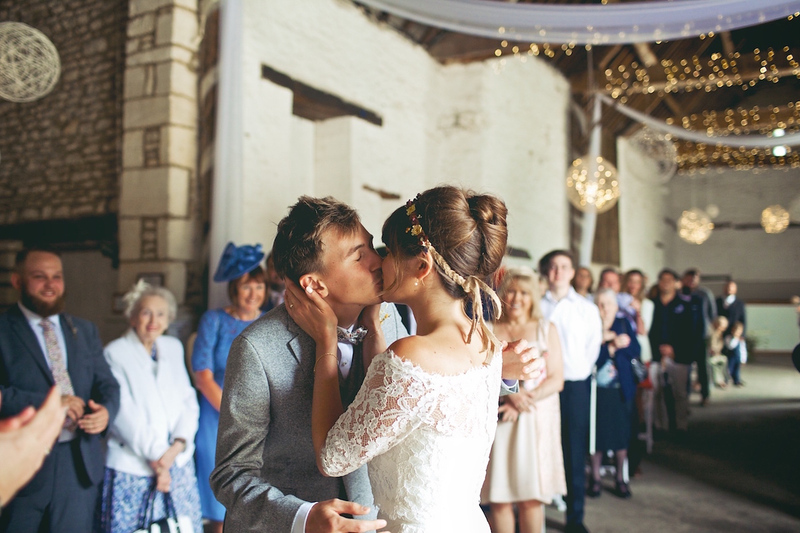 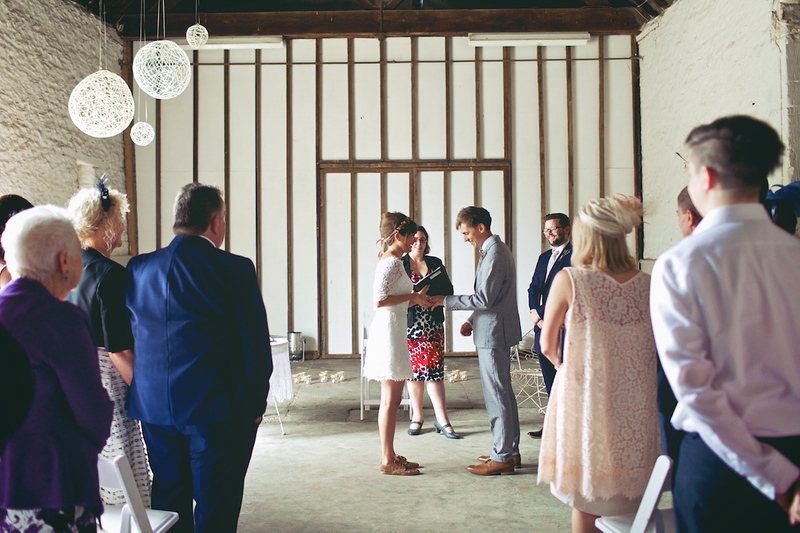 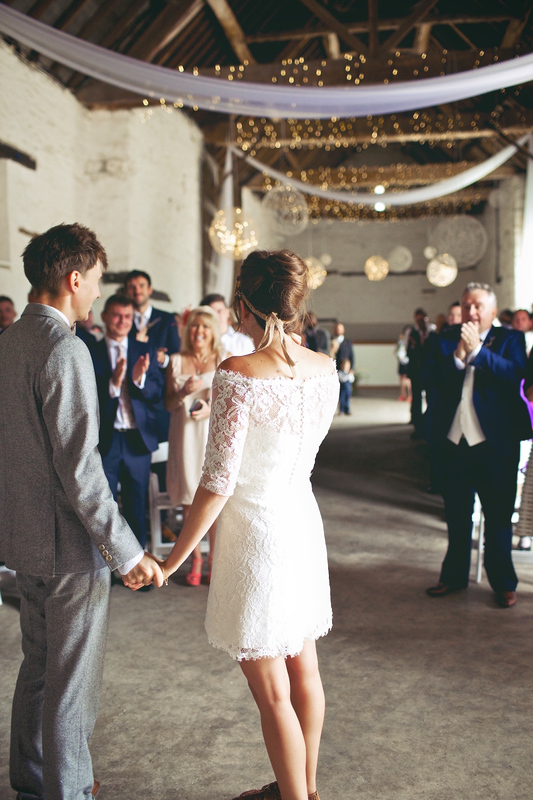 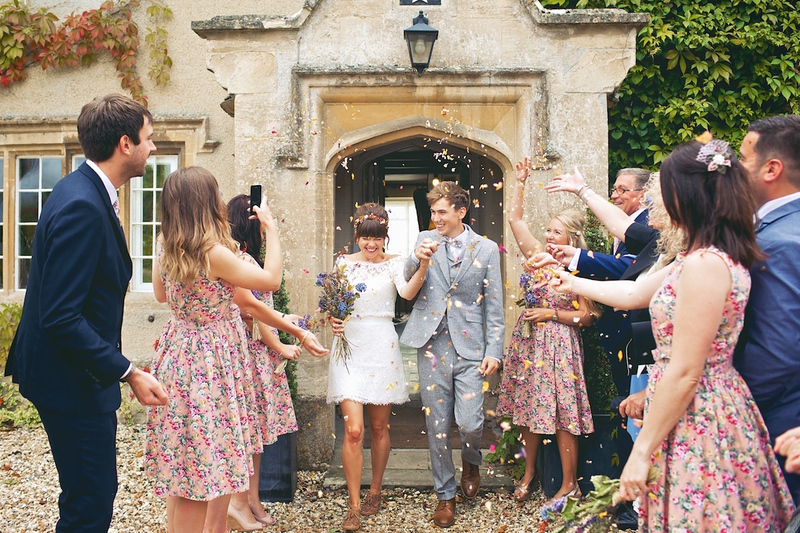 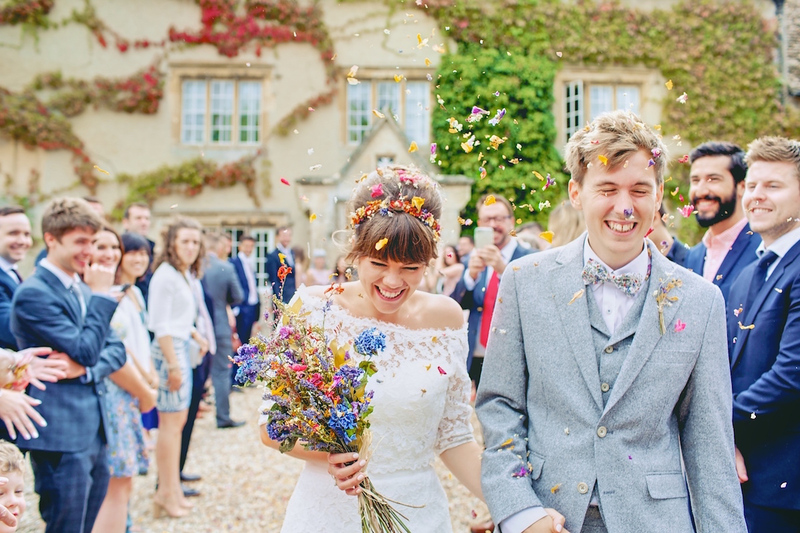 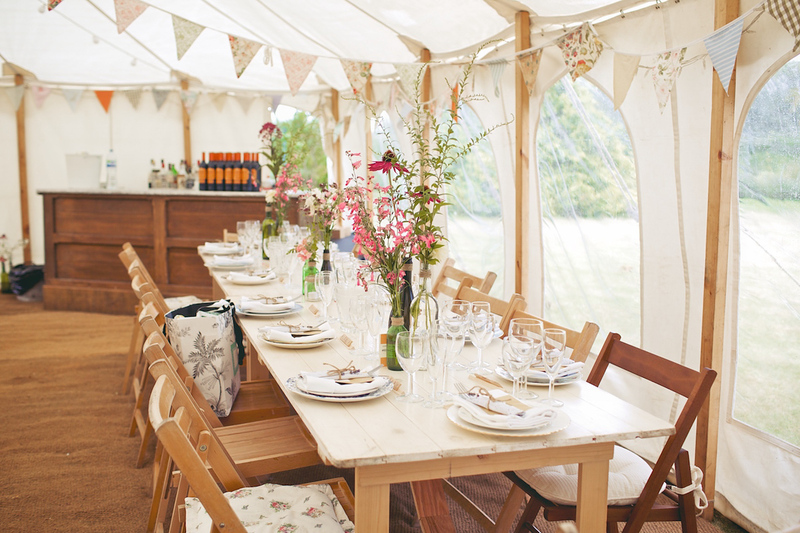 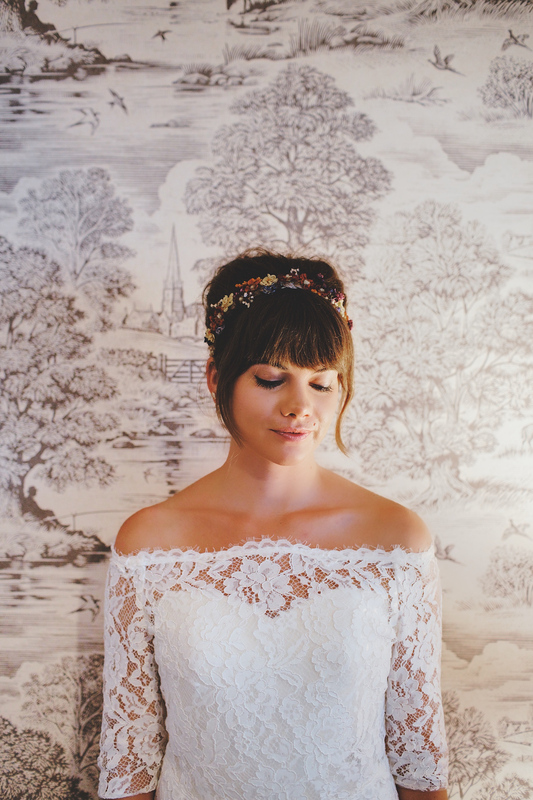 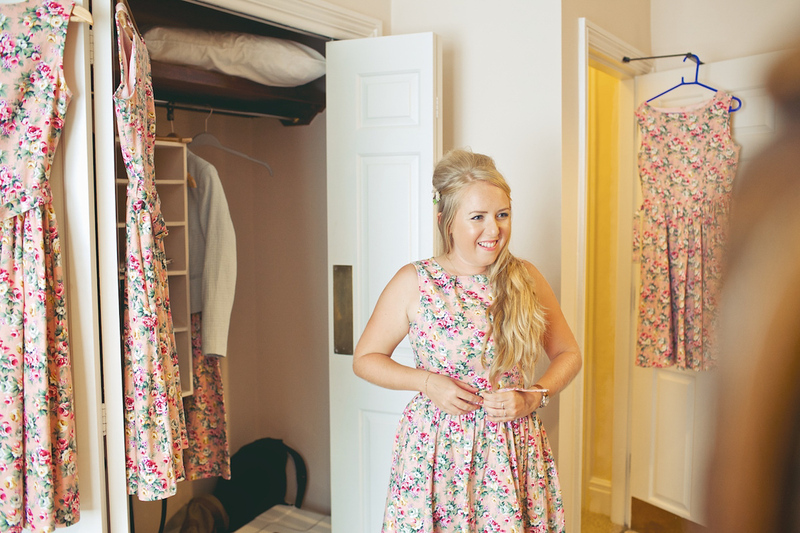 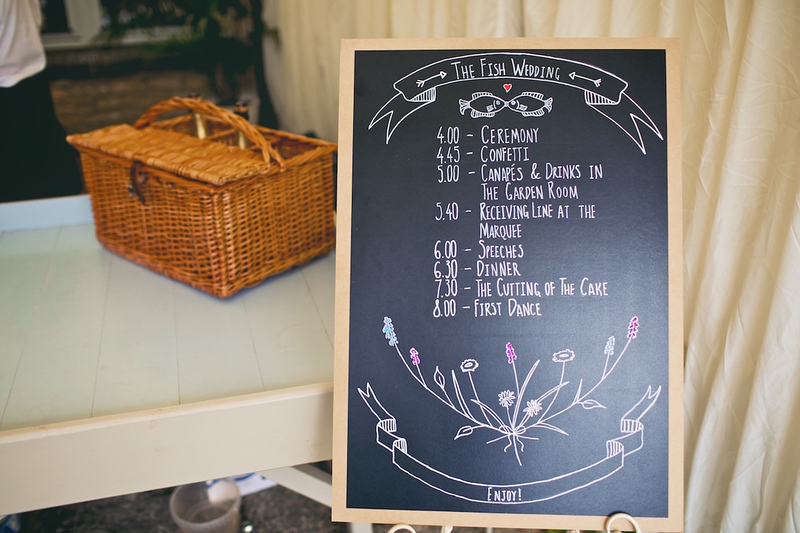 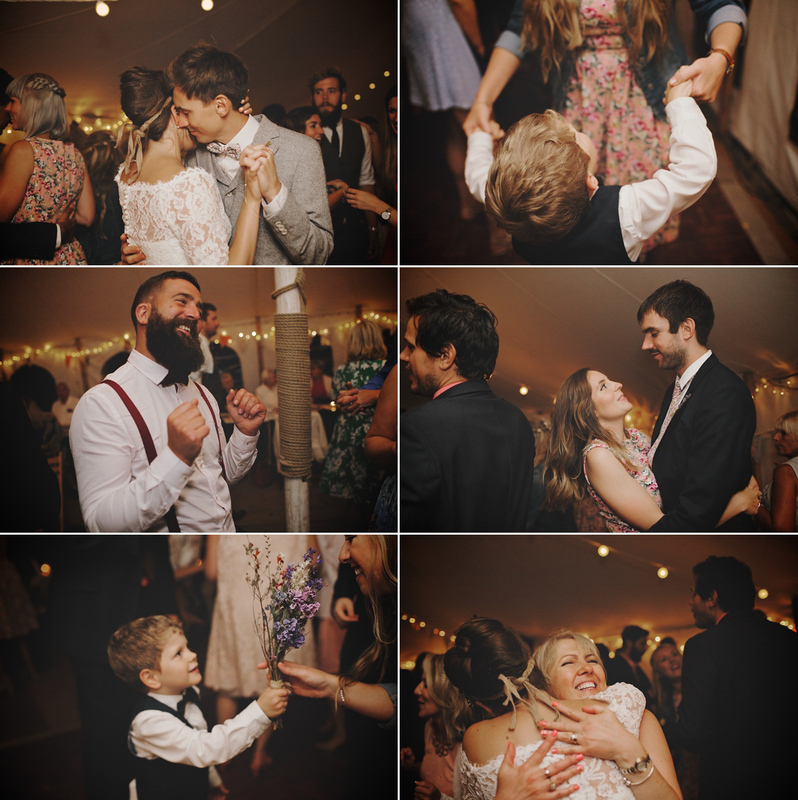 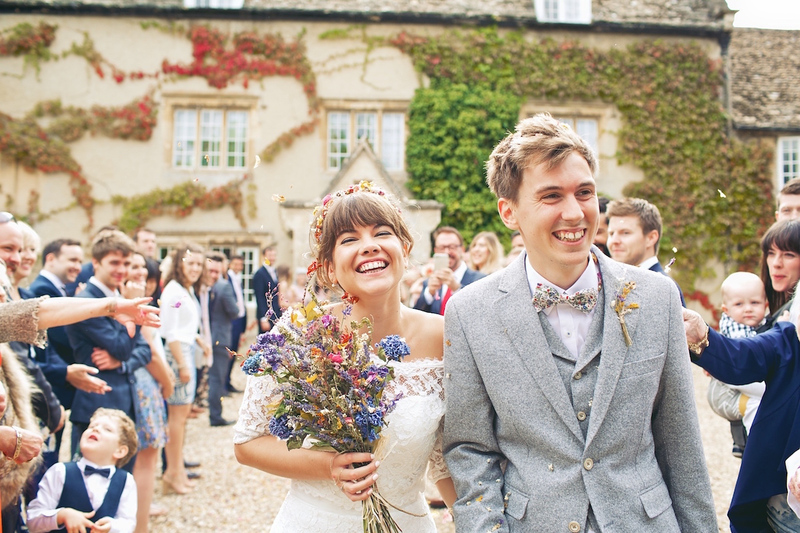 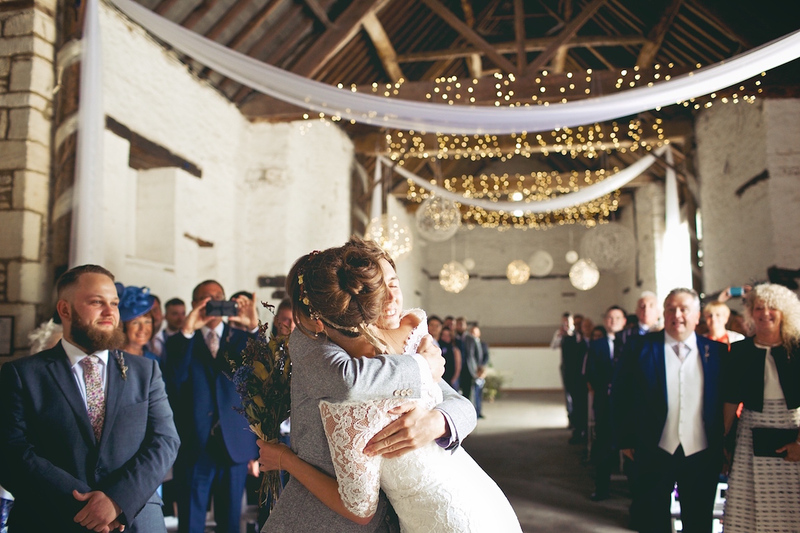 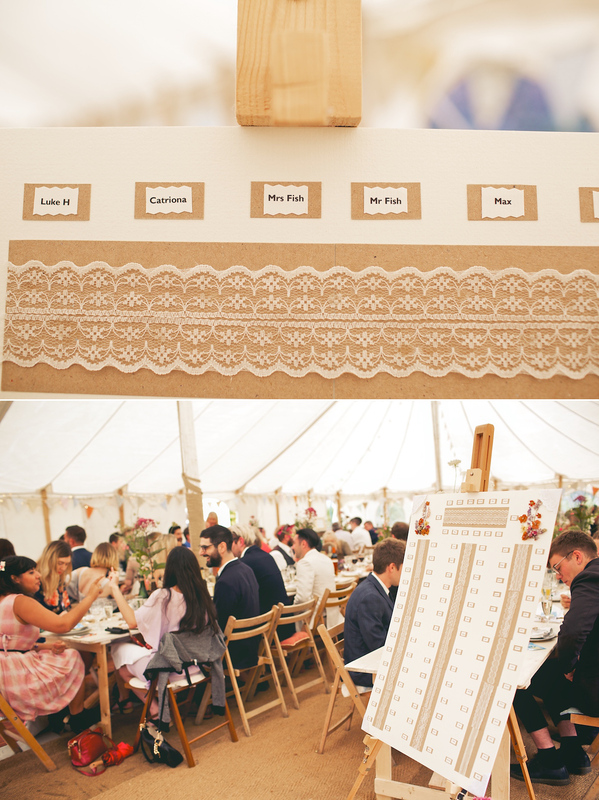 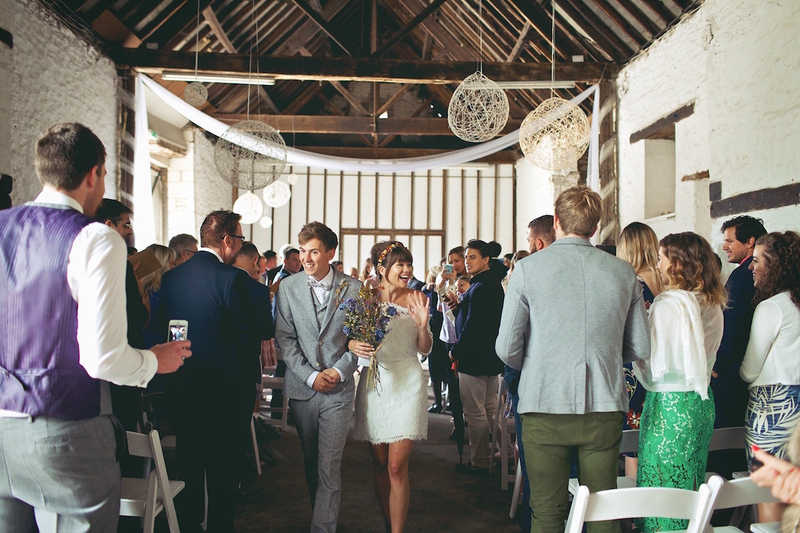 The couple chose the fabulous Harriet from Weddings Vintage to be their photographer. 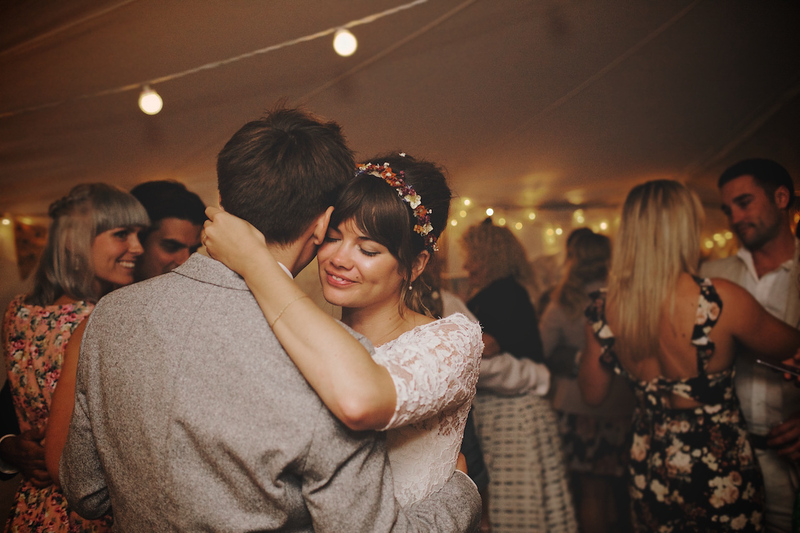 “It’s the good advice (that I just didn’t take) but try not to worry too much. 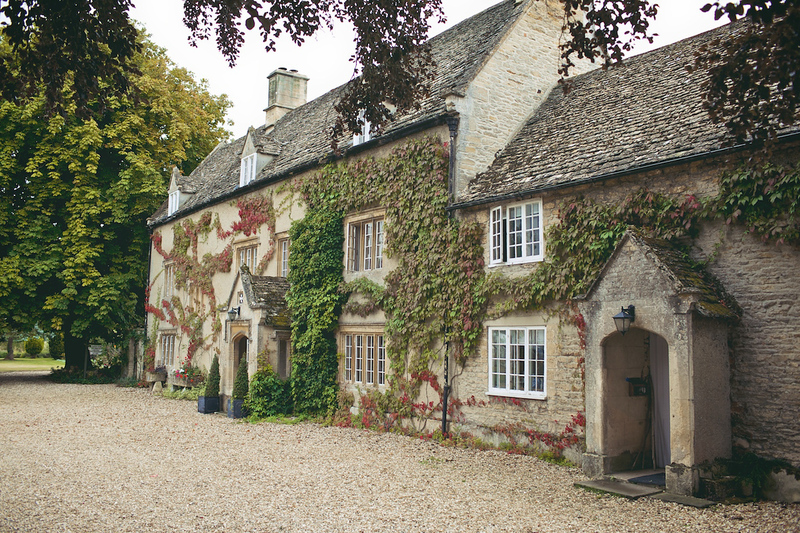 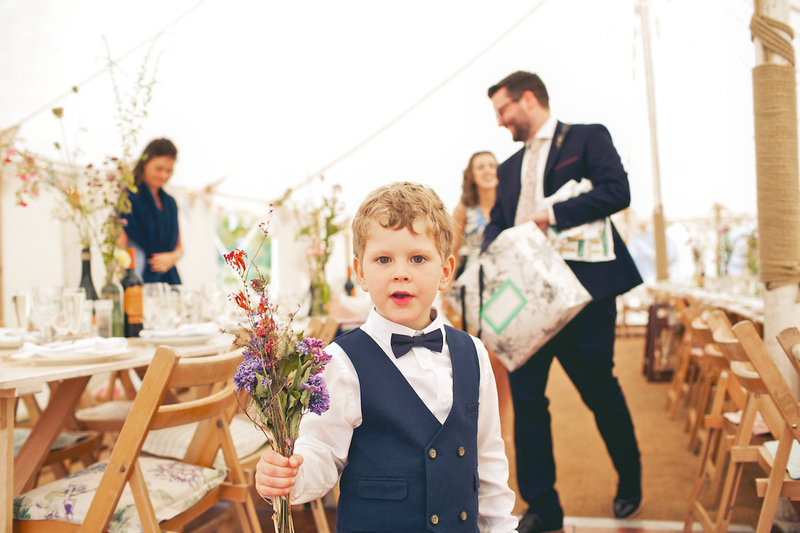 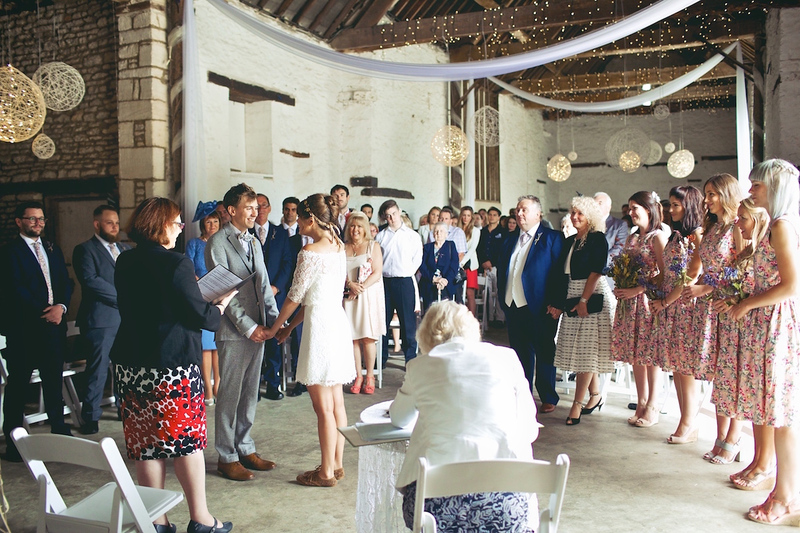 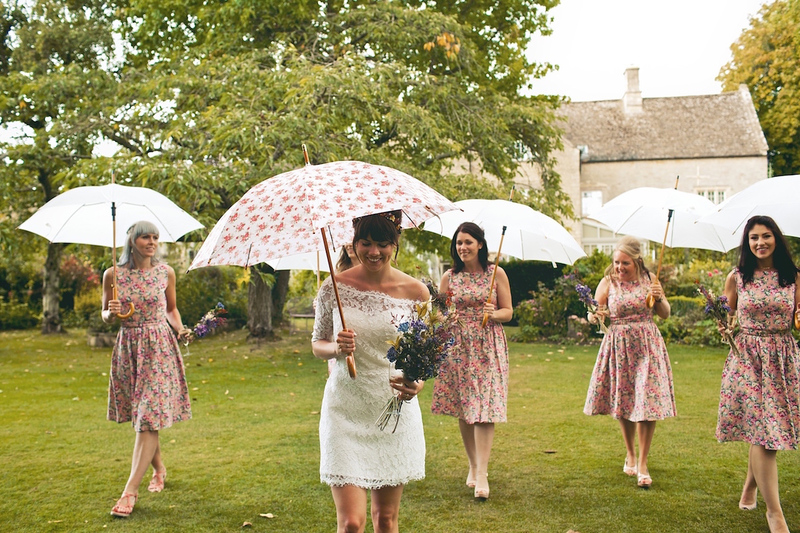 Don’t worry about the weather – it rained on our day which was the worst case scenario for our outdoor summer wedding but it was all fine in the end. 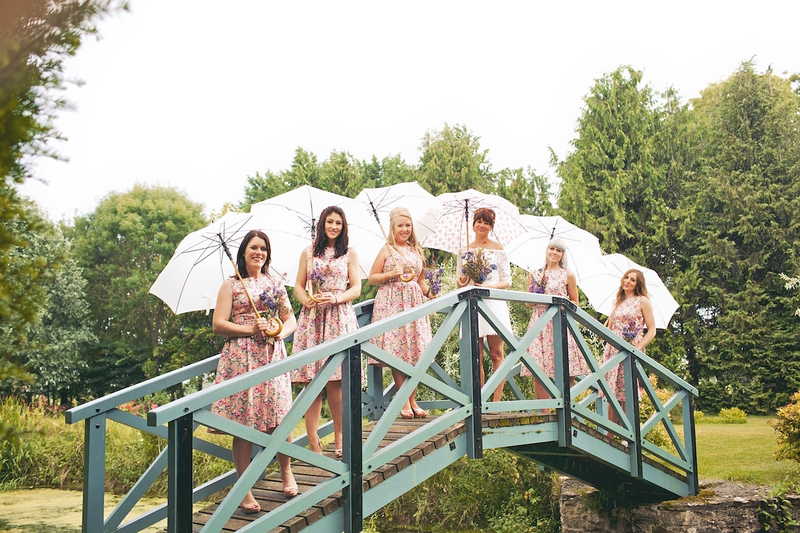 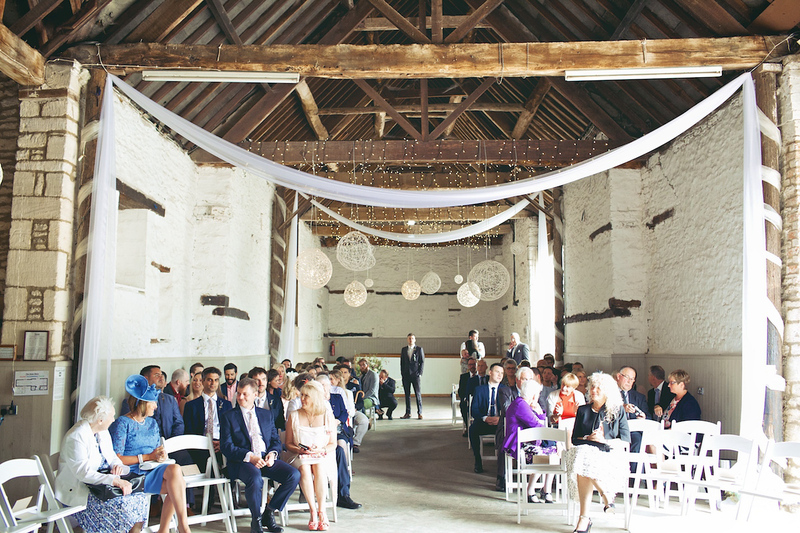 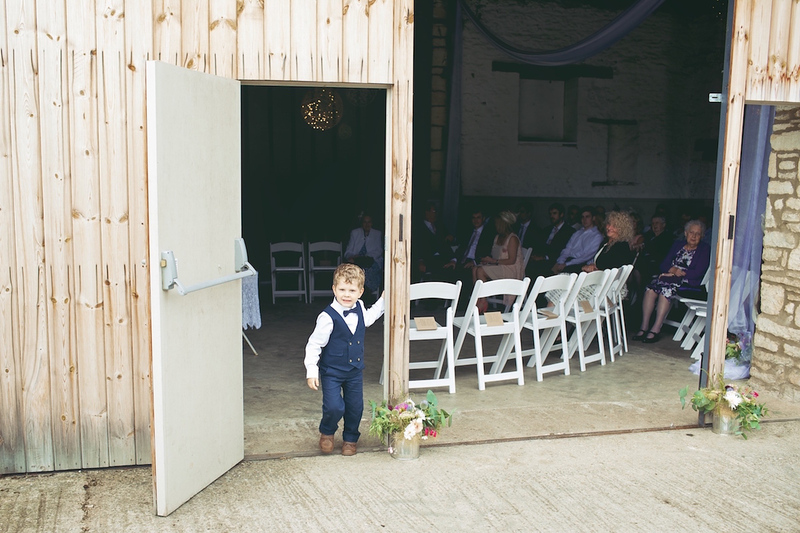 The ceremony in the barn was beautiful and our umbrella pictures ended up being some of my favourites. 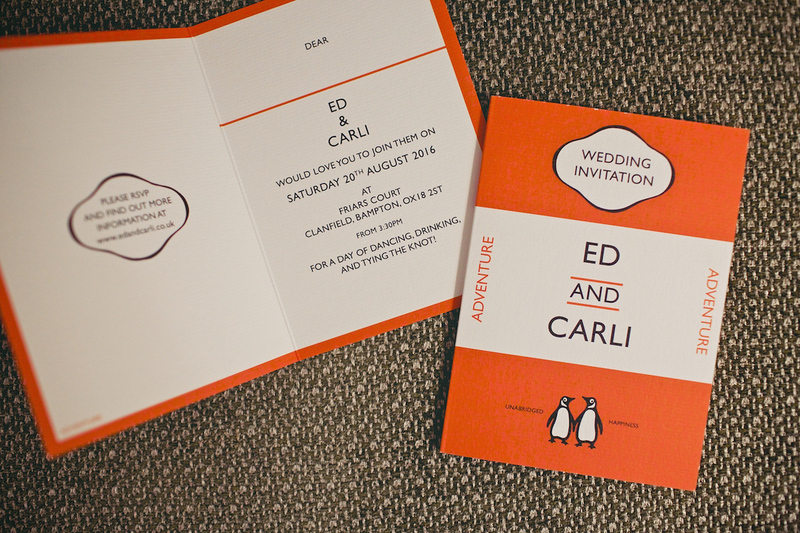 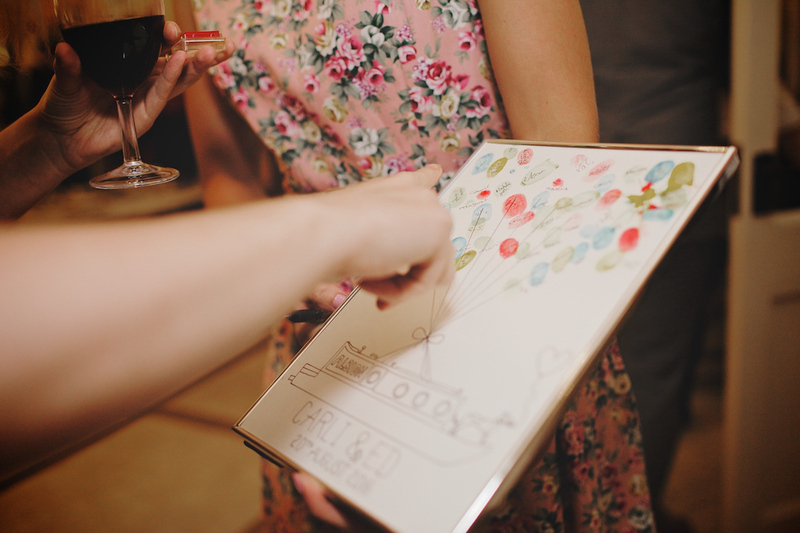 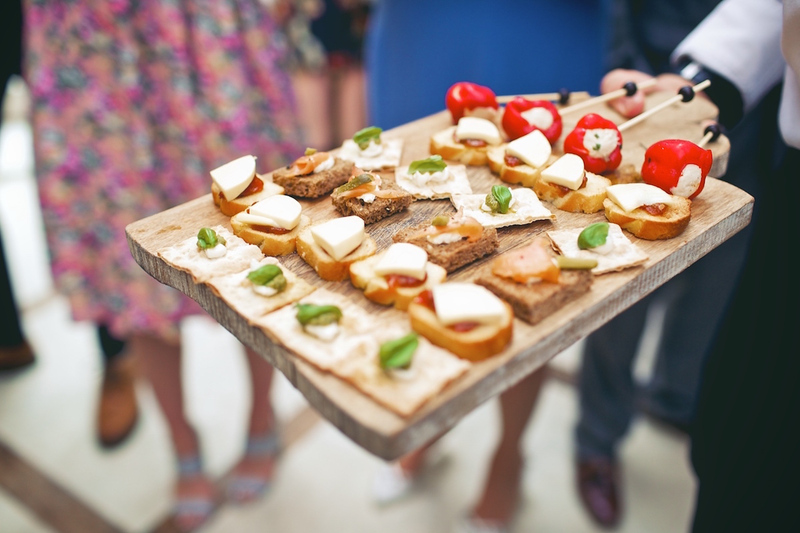 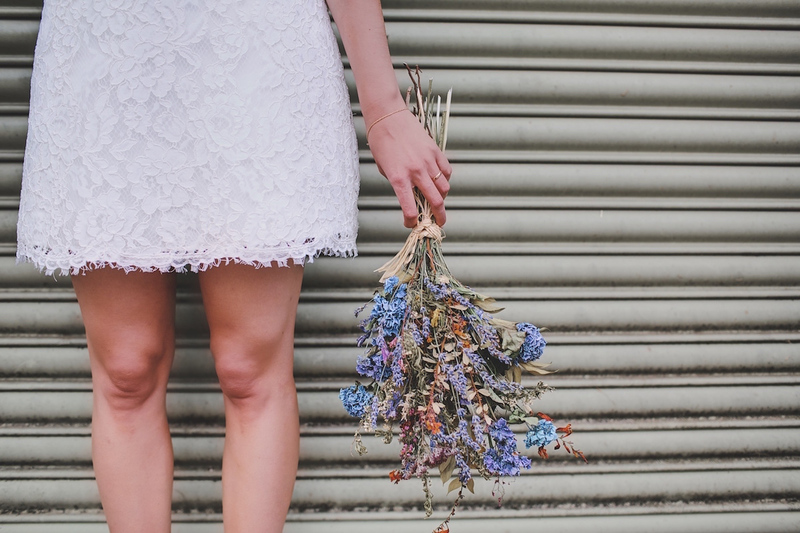 Don’t worry about the details either – leading up to the wedding I was stressed about so many tiny things that ultimately I barely registered on the day.